The market for fill-finish manufacturing is gaining significant impetus across the world. The constant technological advancements in fill-finish products and the increasing uptake of prefilled syringes are boosting the growth in this market. Going forward, the rise in fill-finish outsourcing and the expansion in the biopharmaceutical industry are likely to support this market in the coming years. The worldwide market for fill-finish manufacturing can be analyzed on the basis of the product and the end user. Based on the product, the demand for consumables is relatively greater and is expected to remain so, rising at a significantly high growth rate. The increasing demand for prefilled syringes, rise in the plastic prefilled syringes industry, and the expanding application base of vials in lyophilization are fueling the demand for fill-finish manufacturing consumables across the world. Based on the end user, contract manufacturing organizations have surfaced as the key end user of fill-finish manufacturing products and solutions, globally. 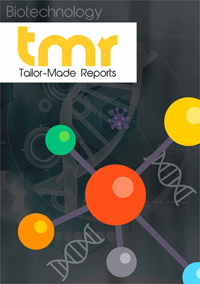 The augmenting demand for outsourcing the fill-finish manufacturing procedures and the increasing number of new entrants in the global biologics manufacturing industry is the key factor behind the rising application of fill-finish manufacturing products and solutions in contract manufacturing organizations. The global fill-finish manufacturing market is forecast to expand at a decent CAGR between 2017 and 2025. Players could benefit from the rise in fill-finish outsourcing witnessed in the recent years. Moreover, there are several technological developments that the market has testified of on the part of fill-finish products. This could provide a strong impetus to market growth in the foreseeable future. However, expensive cost of isolators and restricted access barrier systems (RABS) is envisaged to hamper the demand for fill-finish manufacturing. Nevertheless, there could be rewarding prospects birthed on the back of the growth of biomanufacturing in emerging markets. The world fill-finish manufacturing market is projected to include various types of products such as consumables and instruments, which companies may want to cash in on to increase their sales. Among the two, consumables could make their presence known in the market due to the rise of certain factors. The larger growth of consumables is anticipated to be attributed to increased applications of vials in lyophilization, rise of the market for plastic prefilled syringes, and swelling demand for prefilled syringes. Players could also find opportunities with the increase in end users of fill-finish manufacturing, where contract manufacturing organizations could be prominent in the market. Earlier in January 2018, Wuxi Griffin Pharmaceutical Co. Ltd. confirmed that it has completed the construction of a new aseptic fill-finish facility of 27,450 sq. ft. in Wuxi, China. The facility is researched to use isolator production technology and RABS and to be equipped with three filling suits. It offers manufacturing services for small molecule drugs, biosimilars, recombinant proteins, vaccines, and monoclonal antibodies and is compliant with Good Manufacturing Practice (GMP) standards, according to the company. CEO Torgny Lundgren has said that the company is filling the gap between Western regulatory requirements and capabilities of Chinese manufacturers. The facility also provides small and medium-sized batch commercial and clinical trial manufacturing. The international fill-finish manufacturing market is expected to offer opportunities in different regions of the world. However, Europe could be among more lucrative regions of the market. The main reason for the rise of Europe in the market is prophesied to be the rising focus of key companies on the expansion of their presence in the region. Furthermore, the ballooning prevalence of chronic diseases and patent expiration of vital biologic products enabling the advent of biosimilars could help the regional market to expand its prominence in the near future. On the other hand, Asia Pacific is prognosticated to rise at a high pace in the international fill-finish manufacturing market. The overall growth of the biopharmaceutical industry could be a chief factor augmenting the demand for fill-finish manufacturing in the developing region. The international fill-finish manufacturing market witnesses the presence of top companies such as IMA, Robert Bosch GmbH, Gerresheimer AG, West Pharmaceutical Services, Inc., and Becton, Dickinson and Company. Analysts authoring the report profile some of the leading players of the industry while taking into account their recent developments, market shares, and other important aspects. They evaluate various factors and observe different market trends in their effort to deduce the nature of the competitive landscape. Readers could consider this study as a guideline to effectively plan their strategies when functioning in the market.